Dow Schofield Watts advised Dylan Brown and Anna Lena Eriksson on their management buyout. After 30 years’ service, Yrjö Vesterinen and Diane Vesterinen are handing over the reins to the younger couple, with over 40 years’ experience between them. Yrjö ‘Vesty’ Vesterinen, who started the company along with his wife Diane from small beginnings in Guildford back in 1984, manufactured clothing under the Apico brand for Trials and Motocross riders in the UK and afar. 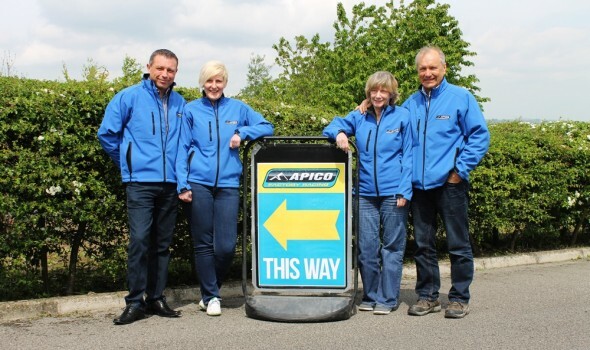 This has developed into a huge operation in off-road, now importing hard parts under the Apico and Raceline brands. Operating from a 25,000 sq ft warehouse and office facility in Burnley with 24 staff and also managing the UK distribution for some 60 plus brands including Arai, Polisport, Leatt, Twin Air, ANSR, MSR, Hinson, Boyesen, Pro Taper and many more.